There is nothing more special than a community gathering. Holding space for each other is what builds community, and there is nothing we like more than helping to create that environment. Each community center is the heart of the surrounding residents, a gathering place. 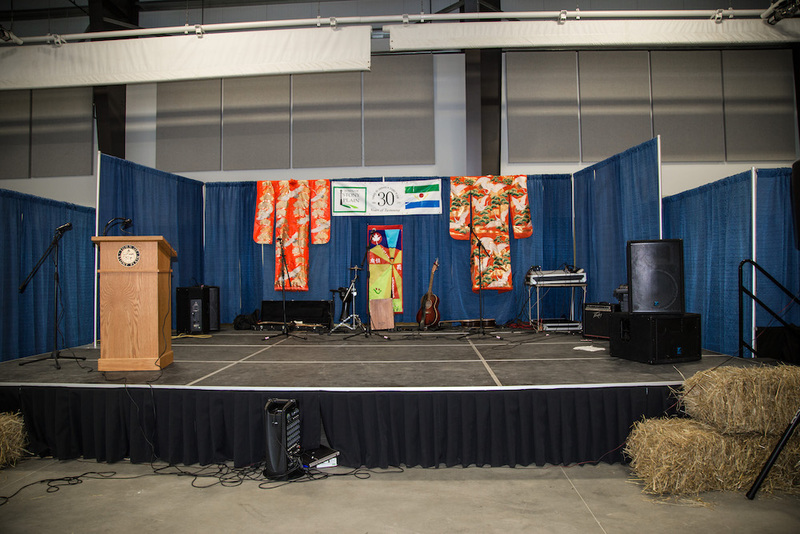 Our stages, risers and accessories will help you build the best community gathering center, whatever your needs! Whatever the reason, bringing people together is always a good thing. The heart of the community, your event center needs to be unique to you and fulfill a variety of needs. "The Town of St. Stephen is very impressed with the quality of the product and the Customer service throughout. 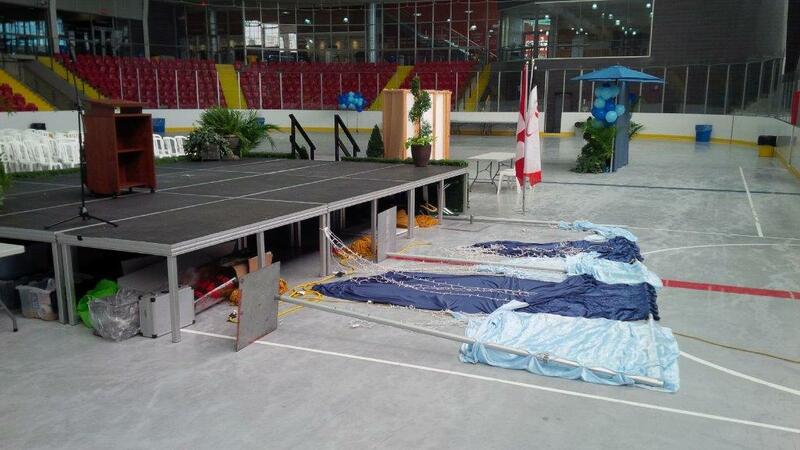 Our stage was needed for a very important date, they were able to make sure it arrived on time. Thank you!" "Thanks to you and everyone who collaborated to have our staging here in time for the launch of the Thunder Ridge Blues Barn and Ag Centre. I thought we were having a blues concert with the Narda Roberts Band and we did - but my family surprised me with a 60th Birthday celebration! 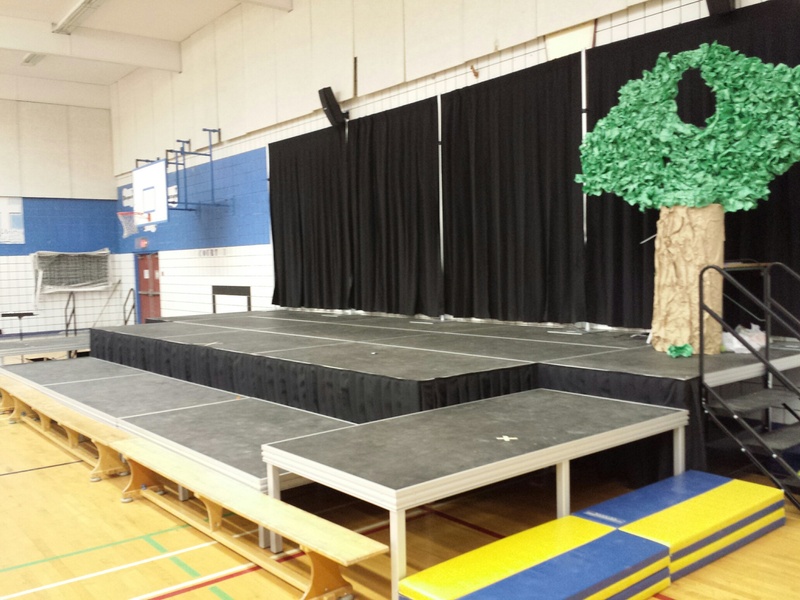 My brother-in-law put the stage together in 30 minutes and said it was a pleasure to work with. Everyone including the band said it was amazing!! Thanks so much!"